When assay platforms rely on the detection of optical labels, they are at risk of optical interference in biological matrices. There is too much room for error and uncertainty. There is also a limit to the assay sensitivity. The MagArray technology overcomes these concerns with an assay format based on the use of magnets to detect magnetic labels. The low-cost, chip-based platform is capable of simultaneously detecting dozens of analytes in as little as 10 minutes. It uses chips with up to 80 sensors that can be individually printed with a capture reagent. 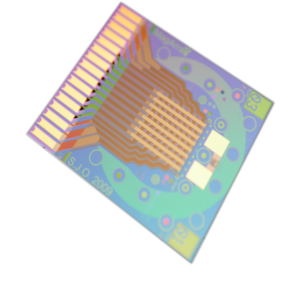 That means reference, control, and unique biomarker sensors can all be printed on one chip, and in multiple replicates to provide internal quality control. The technology provides exceptional sensitivity without sacrificing reproducibility. The system is rugged, easy to use, and easy to maintain. 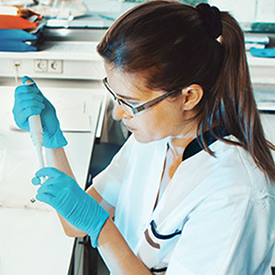 MagArray offers researchers the flexibility and opportunity to develop custom MagArray assays according to their interests and needs. 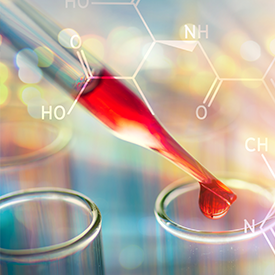 MagArray also provides the option of developing multiplex lab developed test assays to minimize the sample volume required while measuring a large number of analytes in a single test.